Aktif Neser | THE NEW CONDUCTED IMMUNITY TEST SYSTEM “CIT-1000” IS NOW AVAILABLE! Home > Haberler > THE NEW CONDUCTED IMMUNITY TEST SYSTEM “CIT-1000” IS NOW AVAILABLE! 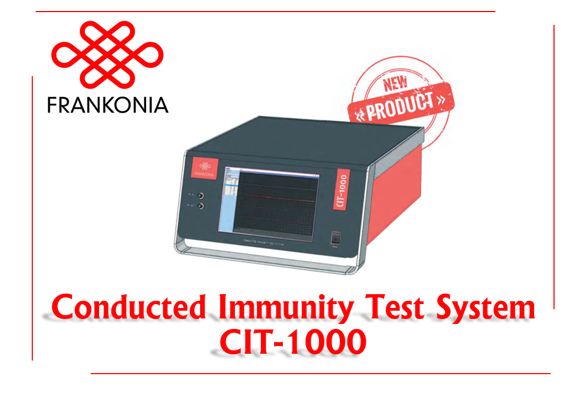 18 Tem THE NEW CONDUCTED IMMUNITY TEST SYSTEM “CIT-1000” IS NOW AVAILABLE! – Signalgenerator, RF-Power-Amplifier, 3-channel power-meter and directional coupler combined in one 19“-case.